Be informed where you stand on your job applications. We update you through every step. 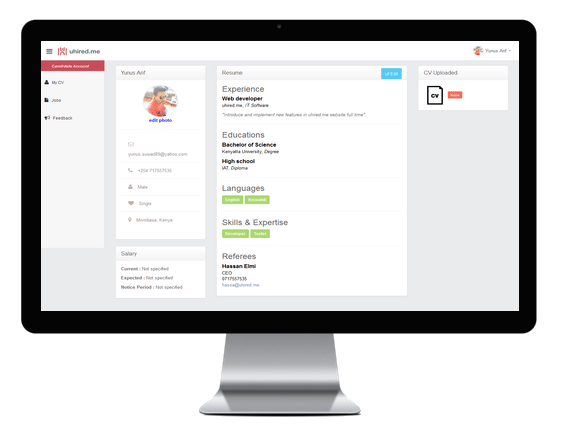 No more "upload your CV" in every job you apply.Create your profile once and apply for jobs by a click of a button. We will present all the latest job on to your dashboard. Use our realtime search to find job of your choice. We make it easier for employers to find your profile. Create your profile and upload your CV. No more creating or uploading a CV over and over when applying for a job. 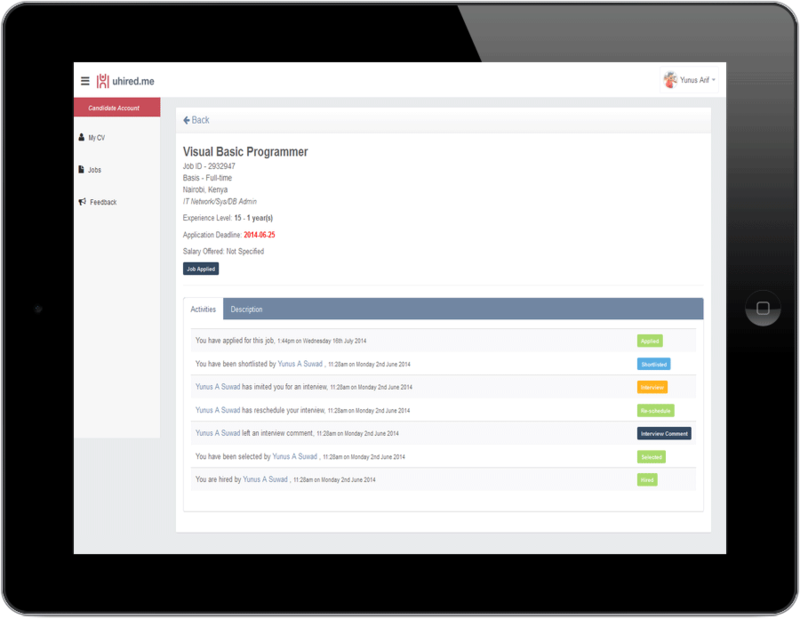 We make it easier for employers to evaluate your job applications.